The wine list at the Jacksonville Inn has been the proud recipient of Wine Spectator’s “Best of Award of Excellence” for four consecutive years. 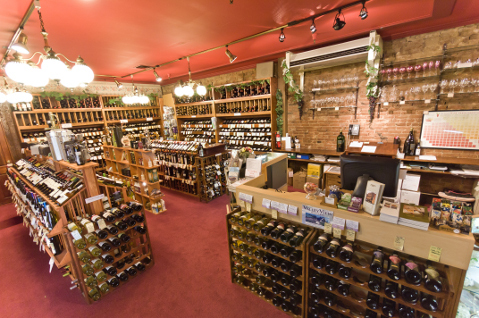 GQ Magazine also named us “One of the Best Retail Wine Shops in America (Top 50).” We are proud to say that we have over 2,000 different wine selections in our shop to delight our customers and a knowledgeable staff to help our customers choose the right wine for that special occasion. If you are looking for something special for a friend or loved one, email us at wineshop@jacksonvilleinn.com to let us know! To view our wine list, please click here. The Wine Shop at the Jacksonville Inn changes their Wine Sales each month. Want to see what’s on the Special list? Please click here. A five-course gourmet dinner prepared by Master Chefs; each course designed to augment the full flavor of the Winemaker’s chosen wines. Join the mailing list for E-newsletters, full of info, deals, packages and more!